The rising popularity of organic farming means concerns over chemicals. 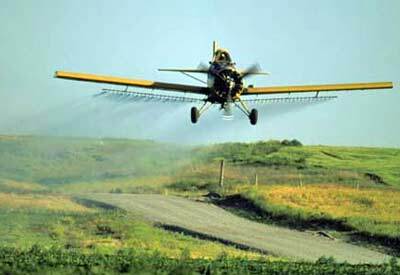 Farmers say pesticide-drifting can cause millions of dollars in lost revenue or even destroy their farming operations all together. People who work with farmers say they are seeing a rise in drifting issues as more people take up organic farming. They are trying to find ways to educate conventional farmers about their new neighbors. Kathleen Bell started farming organically six years ago and shes always concerned about pesticides drifting in from other farms. Doug Gucker helps educate farmers wishing to be organic. Read the full story via Contamination Concerns Grow With Organic Farmers – SiouxlandMatters. ⇐ Sound Vibrations To Reduce Pesticides And Boost Harvests?